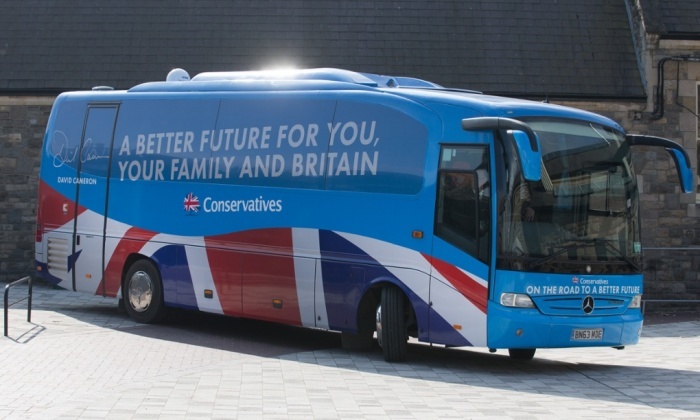 Tory Bus hits bumpy road. “Thick with plans.” Not a description of Iain Duncan-Smith, but of the Tory manifesto, which has been launched in Swindon with an orgasmic whimper from the massed party faithful. It would have taken a heart of stone – or any housing expert with an IQ over 90 – not to get caught up in the acquisitive élan of the moment. Before the event, TVs in the venue happened to be screening Homes Under the Hammer, a prime example of the two decades of property shows which bear the same relation to Cameron’s dreams as Propofol did to Michael Jackson’s. 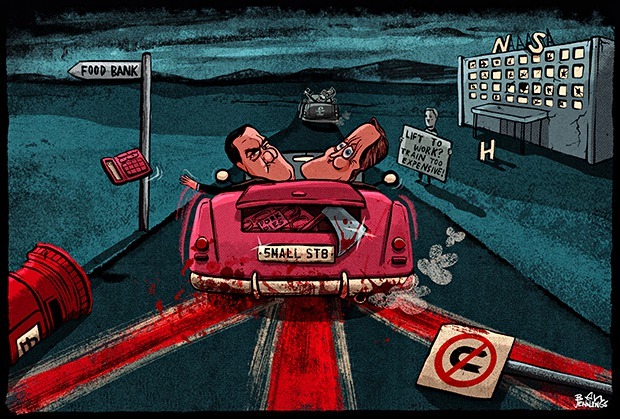 Still, what could possibly go wrong? Nicky Morgan, who really can’t deliver a line unless you like your policies served up with misplaced emphases on random conjunctions and pronouns. Cameron wanted to tell the world “who I’m in it for”. To wit: “I’m in it for the people who live within the rules, who do the right thing, who set the alarm early in the morning, do the school run, clock in at work, whose good deeds and humour are what keeps British communities strong.” This, coincidentally, is the precise motto of the Chipping Norton set. Cameron was there to remind us of the hidden shallows of this campaign, which increasingly feels like it’s being run on all sides by logocidal maniacs.